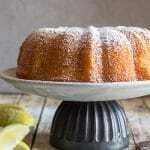 This delicious Homemade Lemon Pudding Cake makes the perfect dessert, no need for frosting it makes its own topping. 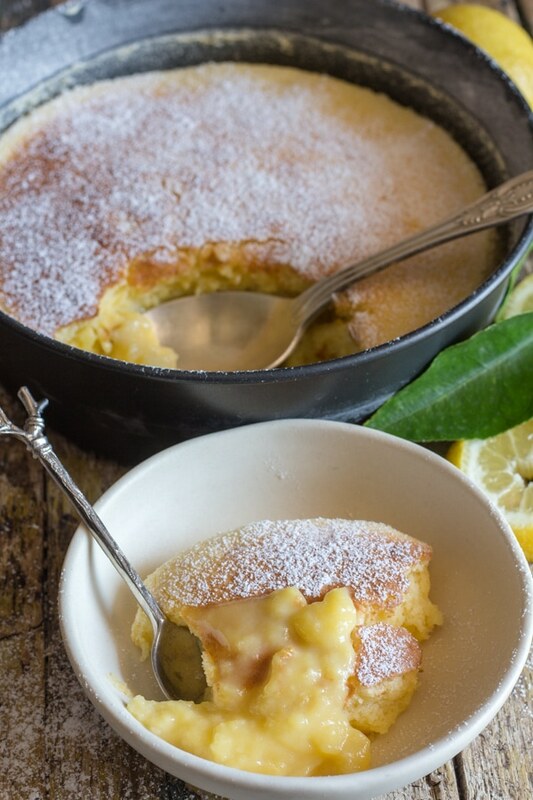 The perfect dessert for lemon lovers and it’s perfect anytime. If you know anything about me or my husband you will know that we adore anything lemon. I am partial to Lemon Desserts and he will take lemon anyway, on fish, in salad, desserts and gelato. 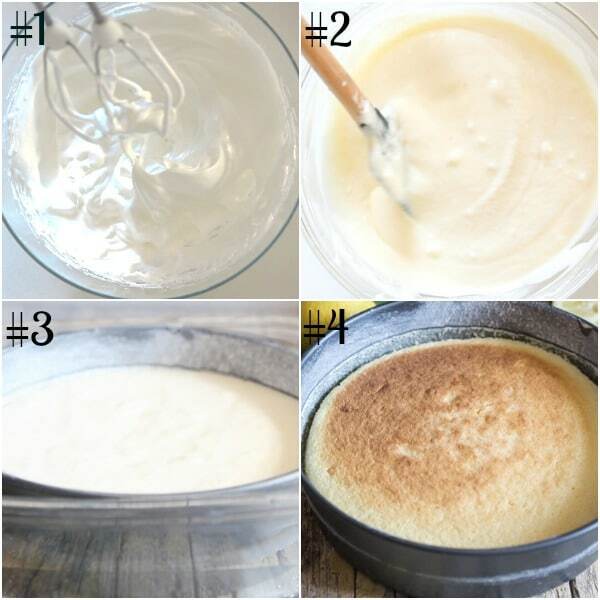 I always remember my Mom making Pudding Cakes and I was always intrigued that it actually worked! And not only does it work it tastes amazing too. 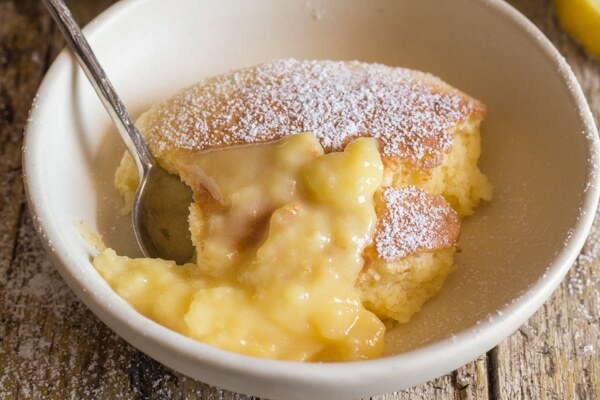 A creamy pudding and soft cake, can’t get much better than that! Why is a Pudding Cake baked in a water bath? The water bath helps to insulate the thick pudding layer and prevents it from over-cooking and becoming rubbery, and at the same time it helps the the cake rise high above the pudding. Cream butter and half of the sugar. Then add zest and egg yolks, beat well. Into the batter stir the flour alternately with the milk then stir in the lemon juice. Beat egg whites and remaining half of the sugar until stiff. Fold the stiff egg whites into the batter and combine well. Pour into a prepared 8 inch cake pan. Place the cake pan in a larger pan of 1 1/2 inches of hot water. Bake for about 25-30 minutes or until golden. Dust with some powdered sugar and serve warm. 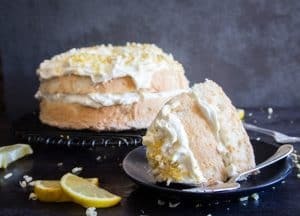 So if you want to bring back some memories or start some new ones, then I think this Lemon Pudding Cake would be the perfect Dessert! Enjoy. Pre-heat oven to 350F (180C) and grease and flour an 8 inch square or round cake pan. In a large bowl cream the butter and half the sugar (1/3 cup), add the zest and egg yolks beat to combine. Stir in (with a wooden spoon) the flour alternately with the milk. Then stir in the lemon juice. Combine well. In another bowl beat the egg whites and remaining 1/3 cup sugar until stiff, then gently fold into the batter. Pour into the prepared cake pan. 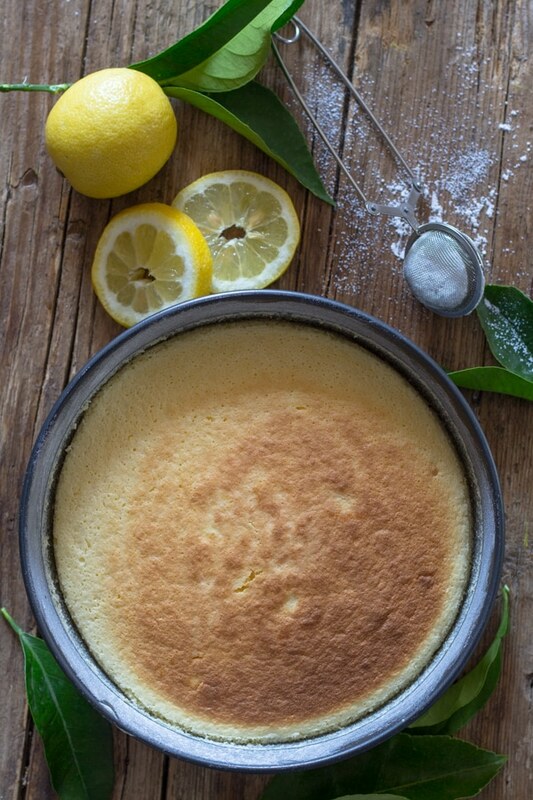 Place the cake pan in a larger high sided pan filled with 1 1/2 inches (4 cm) of hot water. Bake for approximately 25-30 minutes or until golden. 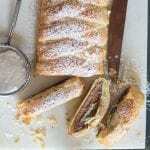 Let cool to warm, dust with powdered sugar and serve. Enjoy! Hi Rita, I have never doubled this recipe, but I think it would work. Let me know. 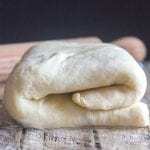 Wondering if you could use gluten free flour…?? Hi Sue, I have never baked with gluten free flour, apparently you can but they say you should add 1 teaspoon of xanthan gum for every cup in a cake mix. Although I really can’t say if it will work or not. If you do try it let me know. Hi Gina, thanks so much and thanks for the correction, I hate when that happens :). I grew up with this but made as a pie filling. Love the texture!!! Hi Carolyn, thanks so much, glad you enjoy it. Have a great day. Could I make this during the day and give it a quick warm up in the evening after dinner? I would like to make this for my grand kids when they come to visit but it’s kind of hard to be baking while they are here. Thank you. Hi Christine, we have always eaten it warm from the oven, but apparently you can, reheat it at about 300F, wrap the pan in foil and heat for about 10 minutes. Let me know how it goes. This has been a standard family favorite since I was 10 years old when my mom saw it made on a local TV show. 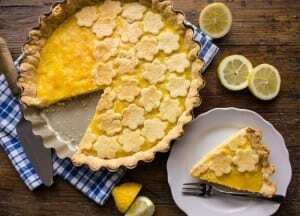 My husband and daughter (and all her friends) call it “The Lemon Thing” My recipe calls for a 2 quart pan though (so I think it is a larger recipe) and we always used a pyrex casserole type dish. The first time I made it, I realized I did not have a 2 quart pan… but I did have a 3 quart souffle dish. Guess What! If you put it in a smaller diameter but deeper dish you get a souffle!!! Deeper layer of cake on top, and a bit fluffier. No matter how you make it, it is delicious!!! SO this one if made in a 6″ diameter souffle dish would probably do the same thing. I just toss everything but the egg whites into my blender or food processor and whip it up, then fold the batter into the whipped egg whites. Works great! Important tip for folks who haven’t worked with whipped egg whites: Be SURE your egg whites are warm, like room temp at least. I usually set mine out at least an hour ahead. You will not get good meringue with cold egg whites. Hi Claire, thanks for the tips, and yes a really delicious dessert. Have a wonderful Sunday. 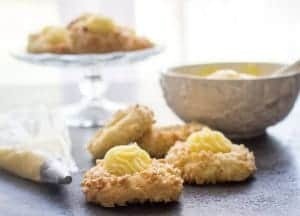 I also love lemon desserts and this recipe sounds lovely ! 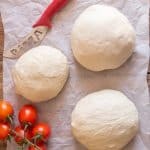 Can I use almond milk ? Hi Susan apparently you can, just substitute one for one. Let me know how it goes. Hi Yvonne, I actually have a chocolate pudding cake on the blog, here is the link .https://anitalianinmykitchen.com/chocolate-pudding-cake/ and as far as changing it to vanilla that should be no problem. 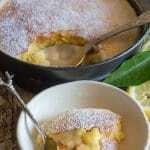 I would add extra milk instead of the lemon juice and add a teaspoon more or less to the recipe. Let me know how it turns out. Hi AB you may want to leave it in a bit more but not too much longer because you don’t want the pudding to dry up on the bottom. Don’t raise the heat though. Hope that helps. Do you think this would work in a pressure cooker? Maybe shorten the time, put it on the steam setting? Hi Heidi I have no idea, I have never cooked with a pressure cooker. Sorry. That’s okay! I might try it. Thanks! Definitely going to try in the oven. It looks fantastic!